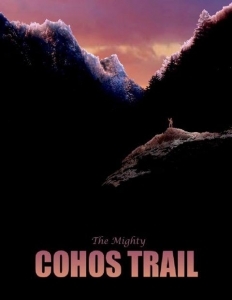 We are missing many pictures in the Denizens of the Cohos Trail. If anyone out there has any pictures of the listed wildlife, please feel free to send them to us at [email protected]. Our goal is to have pictures for everything we list on these pages. On The Cohos Trail, you will walk and climb through myriad micro-habitats, perhaps the most diverse of any bio-system in northern New England. From Arctic tundra to the chilly 120-foot depths of First Connecticut Lake, from black, cold spruce forests in dark bogs to beautiful wildflower meadows on open mountain slopes, you will drift through a healthy environment that supports great numbers of species. The wildlife on The Cohos Trail is its real secret treasure. Here’s a limited list of the wild folks you may see on the trail, although we don’t list all the 200-odd species of birds, most of the fish, the insects, and all the tiny mammals that are known to inhabit the region. There are persistent reports of eastern mountain lion, but the creatures are thought to be extremely rare and perhaps lone animals that pass through the region infrequently. And, of course, don’t forget that famous and storied menace, the Black Fly. The monarch of the Cohos Trail is the moose. 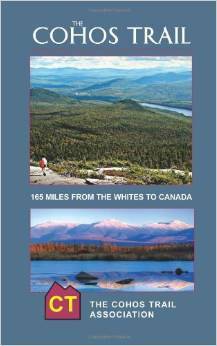 You will meet moose on the Cohos Trail if you are on the trail for any real length of time. They are very common, and they like to walk open trails as much as we do. On average, I meet one every day that I walk the trail. Moose are generally quiet, rather docile animals. In my experience, they will generally stand their ground, perk their big ears forward to listen to you, and keep an eye on you. Sometimes they simply walk away. Females with a calf may stay put or move away. I have never been charged, but I was almost stepped on while I slept zipped up in my sleeping bag on a starry night. But moose are also unpredictable, particularly in mid to late fall: the rutting season. Males move about a great deal during the rut, even late at night. They can become territorial, too, and they will let you know who is boss sometimes by slamming their antlers into brush and small trees. If you encounter a big male in the fall, move quietly and quickly away from it. Several people I know have been in tangles with male moose, and one fellow had his hand injured when a moose pinned it against a tree. Most of the year, simply stop on the trail, and slowly back up a bit if you think you are too close. If a moose turns its back to you, you are too close. If there is a clump of trees about, you might work your way to them and put the trees between you and the moose. Avert your eyes; do not stare into the eyes of the animal. Exhibit browsing behavior — look like you are nibbling the foliage. This is behavior that moose view as normal and passive. And finally, make a broad detour around the creature and continue on your way. Black bears in northern New Hampshire are fairly common and very shy creatures. In Coos County there is no record of anyone ever being hurt by a black bear. In virtually every case, black bear will leave the area you are walking in. If, on the very very rare chance that you are charged by a bear, such as a female with cubs, the bear will run at you in a bluff attempt to scare you away. The scare tactic works, of course. The bear avoids a real confrontation and you do too. And do the other sensible thing. Store your food in a sack suspended from a narrow tree branch out of easy reach of the black bear (they can climb trees). And don’t leave any food at all for them to find. I like to think that people in the woods are at greater risk from other people than they are from any of the wildlife.